YFZ450R SE: The ultimate pure sport ATV package is highlighted with eye-catching color and graphics and a GYTR front grab bar. 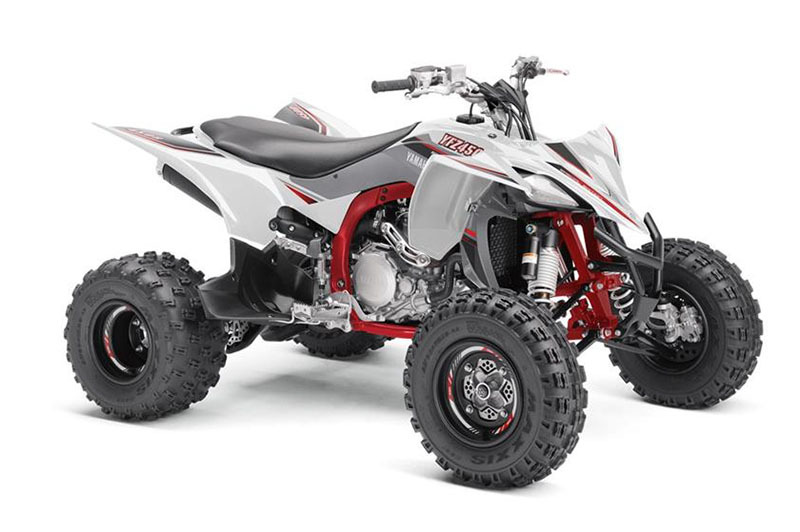 RACE-READY ENGINE: The YFZ450R SE is the most technologically advanced sport ATV on the market today. It combines a high-tech, quick-revving, titanium-valved, 449cc fuel-injected engine with a lightweight, professional-caliber cast aluminum/steel chassis. The power and chassis combination makes for a championship-winning machine time and time again. ADVANCED FRAME: The YFZ450R SE is motocross ready. The weldless frame is designed from lightweight aluminum, with a tension-steel bottom frame that lets the engine sit lower for excellent mass centralization. Suspension components and settings reduce weight while providing light, sharp handling and rider comfort. 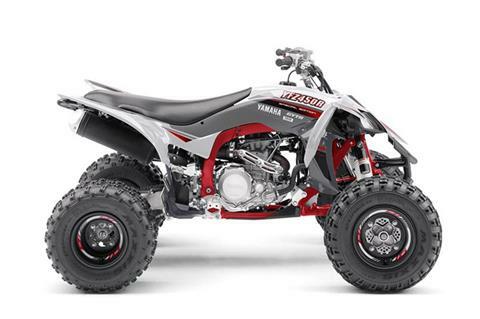 FUEL INJECTION: The YFZ450R SE incorporates Yamaha Fuel Injection for precise fuel delivery. With a big 42mm Mikuni® throttle body and 12-hole injector, this system provides exceptional atomization of the fuel for maximum power. The system also includes ISC (Idle Speed Control) for easy, reliable start-up and warming. AGGRESSIVE SE STYLE: Aggressive styling gives the YFZ450R SE a dark and racy look, with extras like a GYTR® front grab bar to match its unique graphics package.